Elysium Basis Review – Is That It? 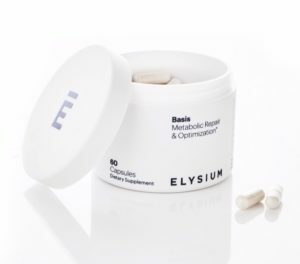 Unlike my other nootropic supplement reviews, this Elysium Basis review is less a review on whether or not this supplement works and more a critique on how this company (potentially falsely) markets this product. Because for the most part we don’t know if this “anti-aging” formula design works — hence the potential falsity of this product’s “anti-aging” health claims. However, this supplement must be doing something right, as it’s garnered major success and attention — more so than your usual mainstream nootropic brain health stack. My intuition is that the marketing doesn’t match the actual reality of this supplement’s effectiveness. But let’s read the Elysium Basis review before jumping to any conclusions. Conclusion: Does Elysium Basis Work? Elysium Basis is a heavily marketed “anti-aging” Metabolic Repair & Optimization supplement that supplies only two ingredients: Nicotinamide Riboside and Pterostilbene (NRPT). The NRPT approach to “anti-aging” potentially works by increasing NAD+ concentrations in the body, contributing to better ATP energy output and DNA protection/expression. Metabolic Repair and …optimization of what? Elysium Basis doesn’t have much of a clinical basis for their health claims, which may explain the vagueness of this supplement’s advertised benefits. Other Ingredients: Microcrystalline Cellulose, Hypromellose, Vegetable Magnesium Stearate and Silica. Directions: Take two (2) capsules every morning with or without food. 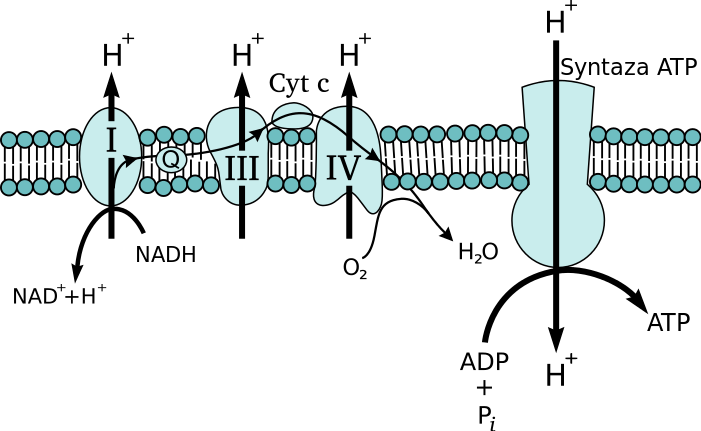 The infamous NRPT (nicotinamide riboside and pterostilbene) design of Elysium Basis’ formula involves simply those two ingredients: nicotinamide riboside and pterostilbene. Individually, these ingredients to work as follows. Nicotinamide Riboside – The primary ingredient in this two-ingredient stack is this pyridine-nucleoside form of vitamin B3 (niacinamide) that converts to NAD+, an important nucleotide to many metabolic functions, including the production of ATP energy and healthy DNA expression. Mice research indicates that nicotinamide riboside may extend the life spans of mice in correlation to an increase in NAD+ concentrations. Pterostilbene – Used by Elysium to activate sirtuins, a class of proteins (controversially*) believed to play a role in anti-aging metabolism, pterostilbene is essentially a more enhanced version of your standard resveratrol ingredient, acting as a potent antioxidant compound with significant neuroprotective value. More on Pterostilbene. *Controversially because not all scientists agree on the therapeutic potential of sirtuins, at least insomuch that we may effectively alter sirtuin expression in a way that unlocks “the secrets of aging.” The scientific study of sirtuins is ripe with controversy, thanks to their popularity via highly marketed supplements such as Elysium. Elysium Basis strategically vague health claims are suspicious. Despite the impressive marketing, Elysium Basis is not unique. Elysium Basis is overpriced to a potentially scammy degree. Just as Elysium Basis is hesitant to make any specific health claims that might trigger FDA punishment, the Elysium Basis skeptics seem hesitant to outright label this supplement as a “scam” — namely because the NAD+ theory on anti-aging processes makes sense. And the animal research on this is exciting. However, nothing in the animal research grants any legitimacy to Elysium Basis as a human health supplement. Humans are not mice. And as others have pointed out, Elysium Basis is not a unique formula. In fact, the process for synthesizing Nicotinamide Riboside is patented by another company, Chromadex, which sells the ingredient under the brand name Niagen. Other supplement manufacturers sell Nicotinamide Riboside for much cheaper than Elysium Basis. My take on all of this: the NRPT approach has potential. However, at this stage in clinical research, it’s nothing to get that excited over. And, yes, there is a randomized, double-blind, placebo-controlled study that demonstrated increased NAD+ levels in humans with NRPT administration. But I’d like to see more research that demonstrates NRPT’s health benefits in comparison to other “anti-aging” compounds and formulas. And if the further research looks good, then I’ll be down for some NRPT …just from a different, cheaper supplement line. It’s easy to follow Elysium Basis’ line of thinking, as the NRPT approach to NAD+ anti-aging boosts makes sense. Introducing NRPT to your daily diet/supplement stack regimen is an easy to-do. Elysium Basis jumped the gun with their health claims on this supplement, overstating the NAD+ benefits of their formula based on animal research that may not translate well to the human realm. By no means is Elysium Basis the only formula to take this approach to NAD+ boosting. It’s not a unique supplement. When you buy Elysium Basis, you’re largely paying for their marketing. It’s overpriced. Bear in mind, when I say “$270 for 6 bottles” and “$480 for 12 bottles,” I don’t mean that you get all those bottles upfront. It’s a prepaid autoshipment service that sends you a bottle per month for however many months you prepaid. Doing either prepaid order option saves you money in the long run, but bear in mind: you’re getting two ingredients here that you may buy elsewhere for much cheaper. The $2.00 per serving listed here for the single bottle divides into $1.00 per ingredient. Which is a bit nutso. “Basis was designed for long-term use in adults of all ages.” Elysium Basis targets a wide demographic; its “anti-aging” appeal naturally increasing in value as we naturally age. You can buy Elysium Basis at the various price plans (listed above) through the Elysium online website. Amazon has a listing for Elysium Basis, yet (at time of writing) the listing is currently unavailable — or “out of stock” or however that works with Amazon. Will Elysium Basis accomplish any cognitive enhancement or mental performance boosts? Odds are: no. Appreciate it, Frenesi. And thanks for picking up on the Camus reference deep into the review!